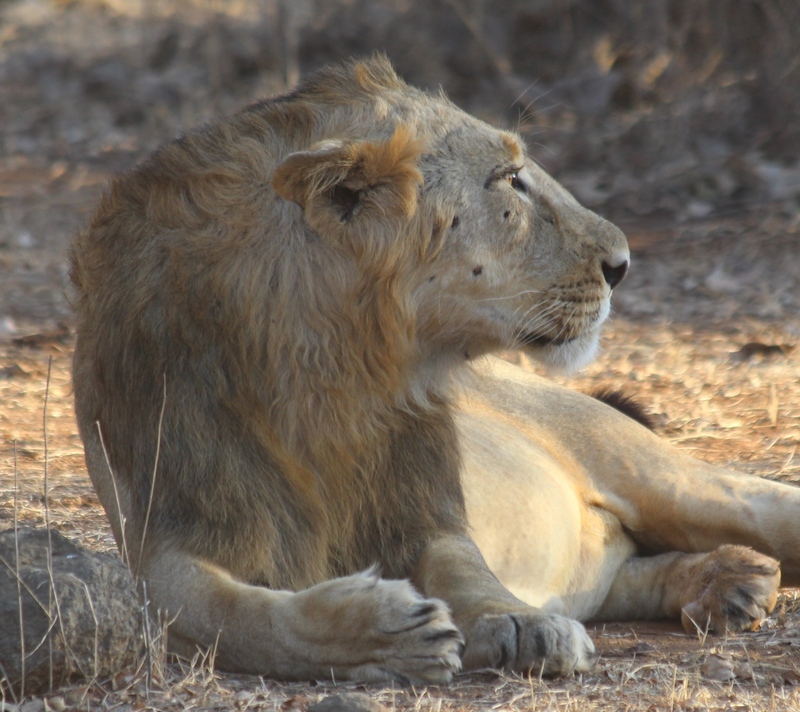 Gir National Park—lions and much, much more | Where to next? You’ve already met the Asiatic lions of Gir National Park, but you should know that the park and surrounding sanctuary abound with life beyond lions. Our four game drives—two in early morning, one in mid-morning and one in mid-afternoon—gave us the chance to enjoy plenty of wildlife, scenery and interesting facts about this semi-arid region. Let me impress you with some numbers. According to a booklet where we stayed, the park boasts 38 species of mammals, 300 species of birds, 37 species of reptiles and an almost unbelievable 2000 species of insects. Even more amazing is that I didn’t get a single bug bite. Yay! 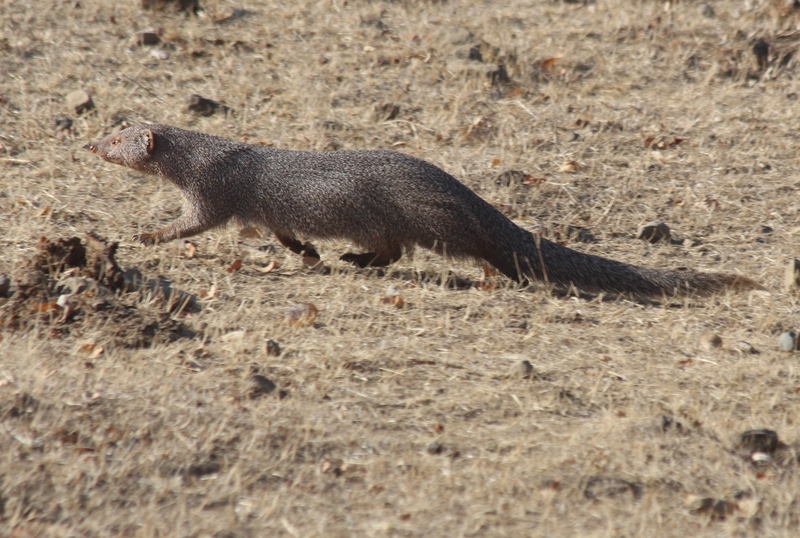 Some of the critters we saw included spotted deer (chital), blue bull antelopes (nilgai), ruddy mongooses, wild boar, crocodiles and a range of birds. Plants are not quite as prolific, with more than 500 types of trees, shrubs, herbs and grasses. I was stunned to learn that about 5 million kilograms of green grass is harvested there each year (worth about US$10 million). The forest also provides 123 million metric tons of fuel wood. The Maldhari, the semi-nomadic tribe that lives in the park, also collects and dries dung that is on-sold as fuel. Plant-wise, I particularly liked the stone apple and flame of the forest trees. But the most amazing thing I learned was how the recent lion counts have been carried out. In 2005, the government banned the use of live bait to attract lions in, and demanded that only lions that were actually seen could be counted. The census that year was completed with the help of about 1000 forest officials, experts and volunteers. 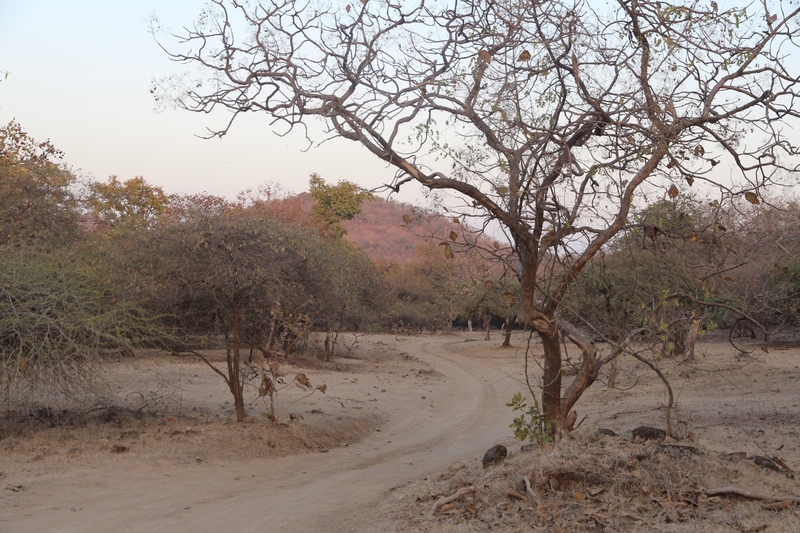 Five years later, the census work was done by about 40 ‘Cat Women of Gir Forest’. These women, mostly from Muslim tribes in neighbouring villages, travelled the park counting only those lions they actually saw. The women, who seek to protect the lions, have worked hard to gain trust and cooperation from local villagers and the Maldhari herdsmen who live in the park. They also seem to have gained the trust and respect of the lions, who leave them unmolested to go about their counting. The more I learn about Gir, the more I think it is one of my favourite parks in India—except for that damn outrageous camera-use charge. Wow! So many kewl animals! Almost like a zoo. Thanks for all the awesome shots. It is a bit like a zoo except that you never know if you’ll see anything! The spotted deer and parakeet gets my vote… and “King of the Domaine” Ye Royal Lion as well! How did you get such a close up shot… I would “Pxx” in my pants with such a close encounter. I love all the birds and the spotted deer remind me of children’s stories. As for the close-up shot, we weren’t that close, but a telephoto lens works wonders. But the lions weren’t overly interested in us anyway. Hopefully the camera charge money goes toward park preservation or at the least study thereof! The male lion’s profile is quite handsome, reminds me of Hillary Clinton’s official Obama-era portrait. Oh gosh, you made me laugh with the Clinton comment. That will keep me entertained all day. And I agree, I hope the camera charge goes to the park for research or development.